Jon Ponder: My First Show Is Coming Up! My First Show Is Coming Up! 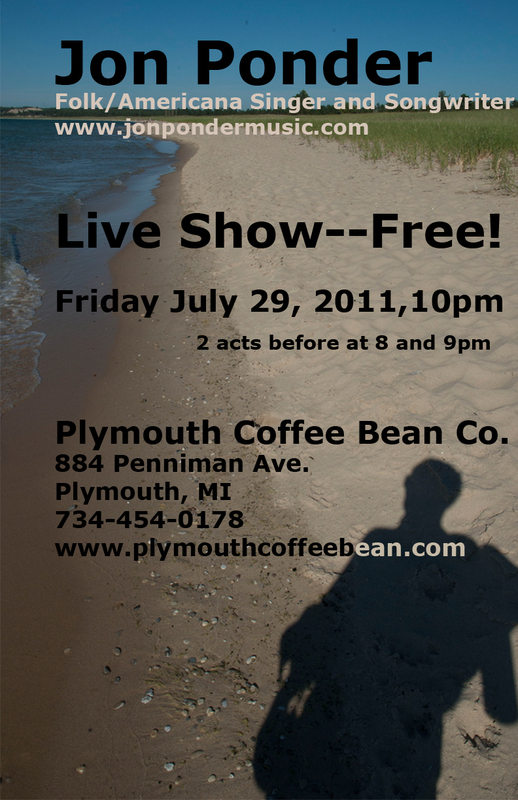 I keep forgetting to post this on here, but I have a show coming up this next weekend, Friday July 29, my first show! It's at the Plymouth Coffee Bean Co. in Plymouth, Michigan. Check out the poster to the left. You can also check out the Facebook event page for it and RSVP if you want to. I am hoping to have finished and on hand some copies of my homemade EP. It should be totally epic. 45 minutes of epic-ness.